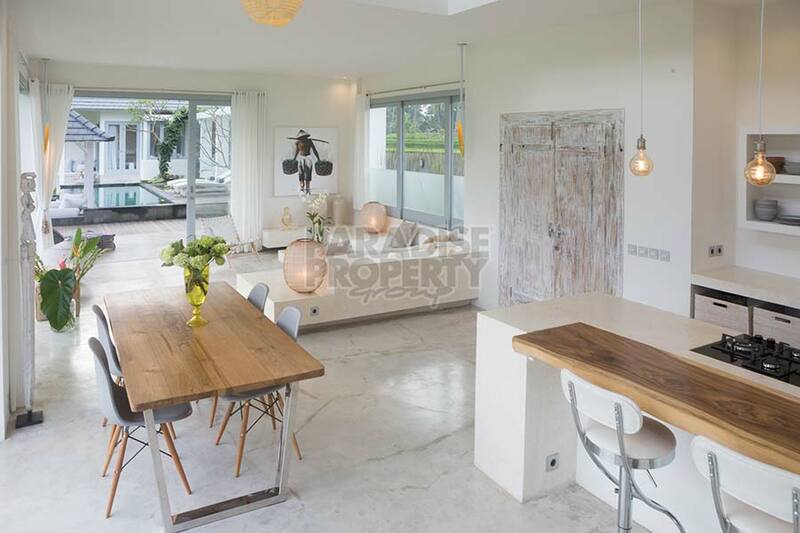 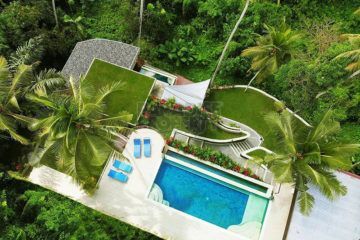 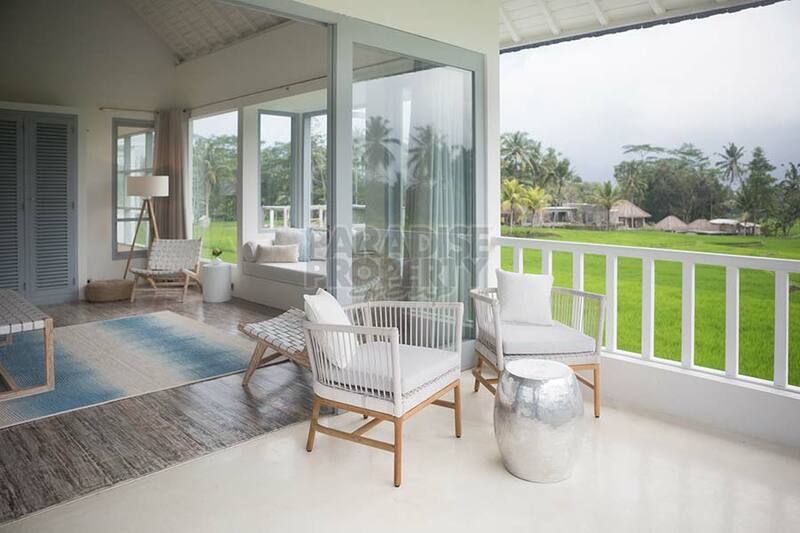 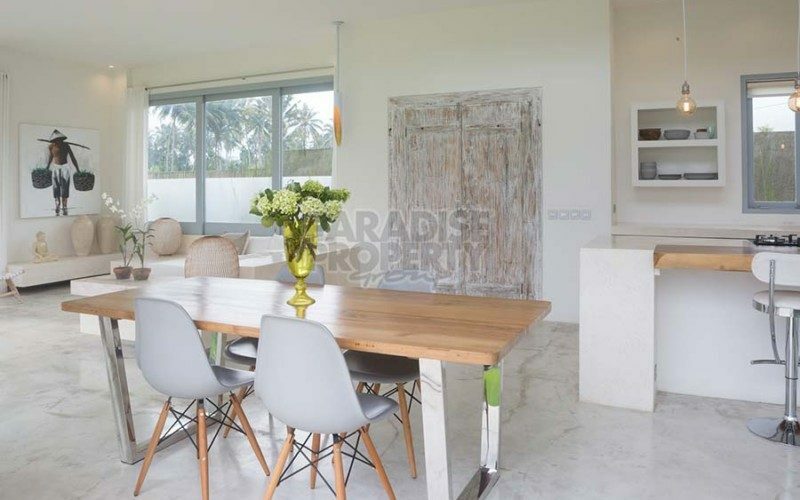 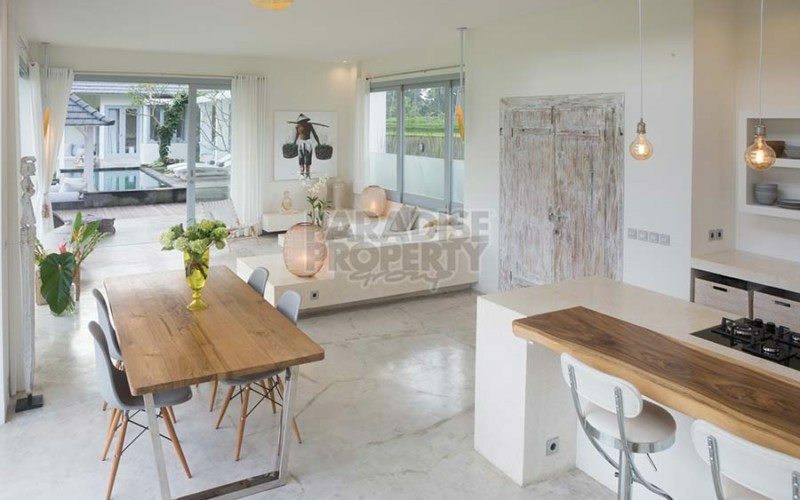 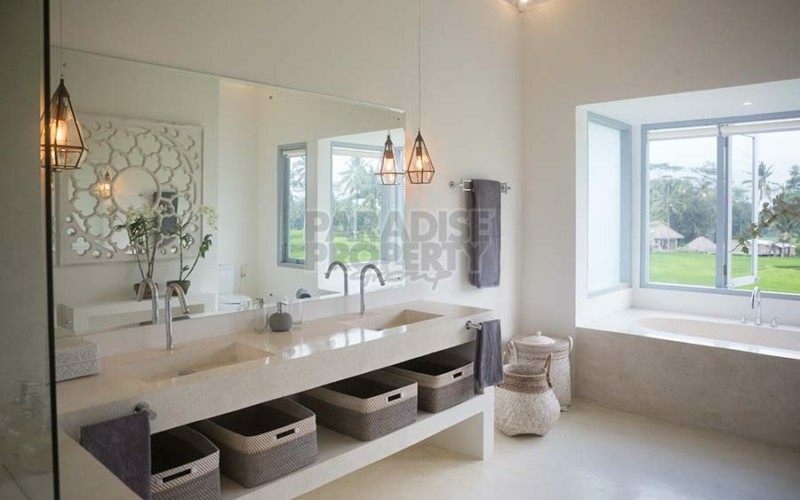 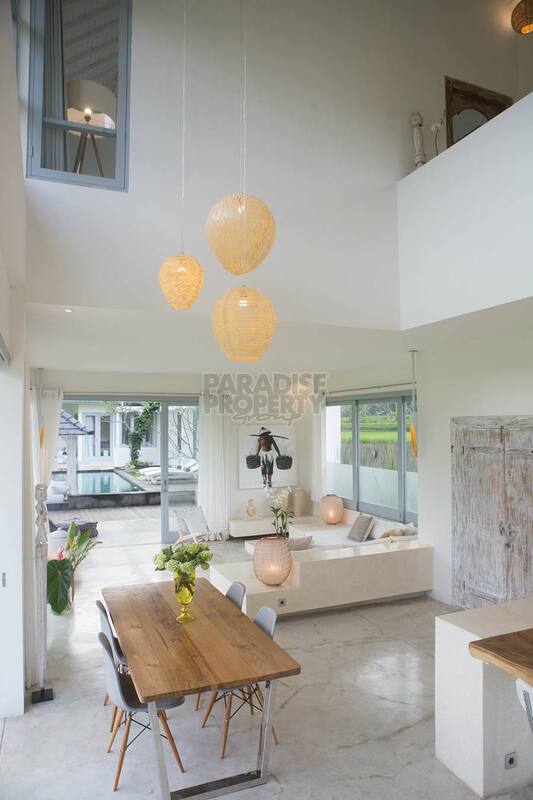 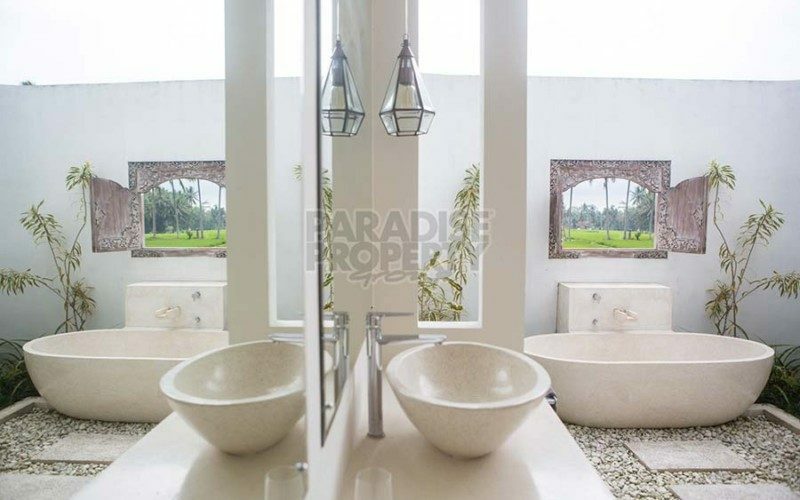 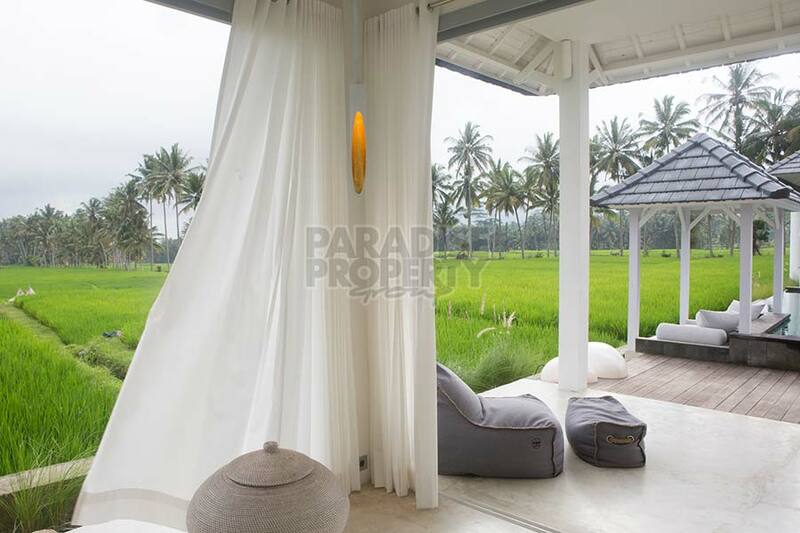 This gorgeous villa is located in an upcoming area north of Ubud, a 10 minute drive from the center. Its design combines tropical style with all amenities of modern living. 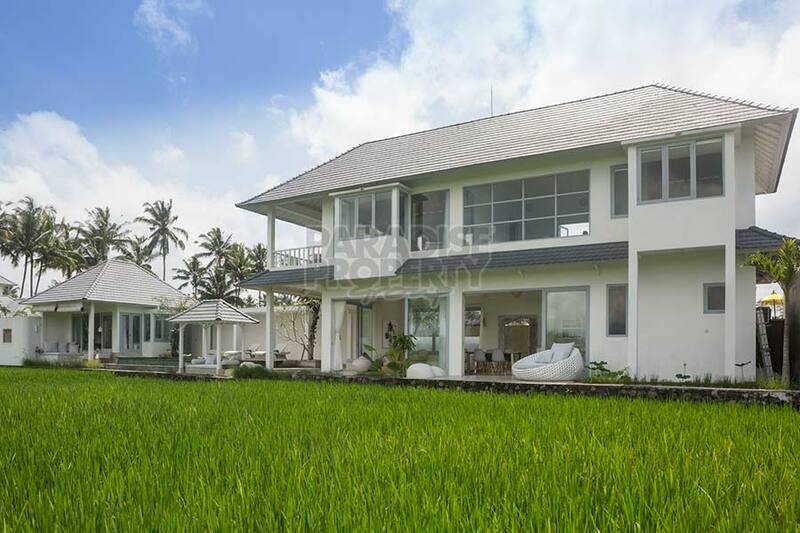 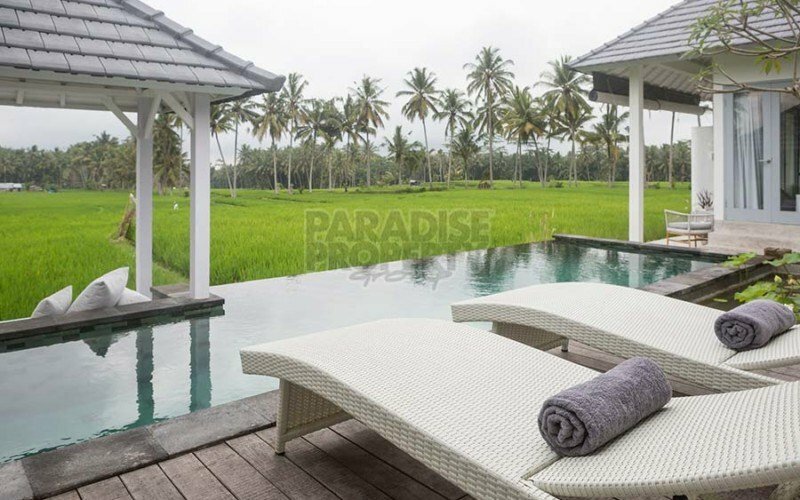 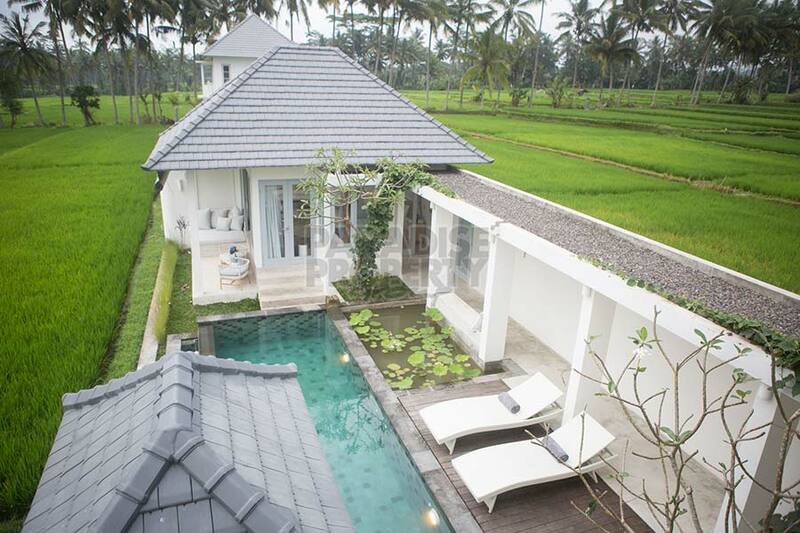 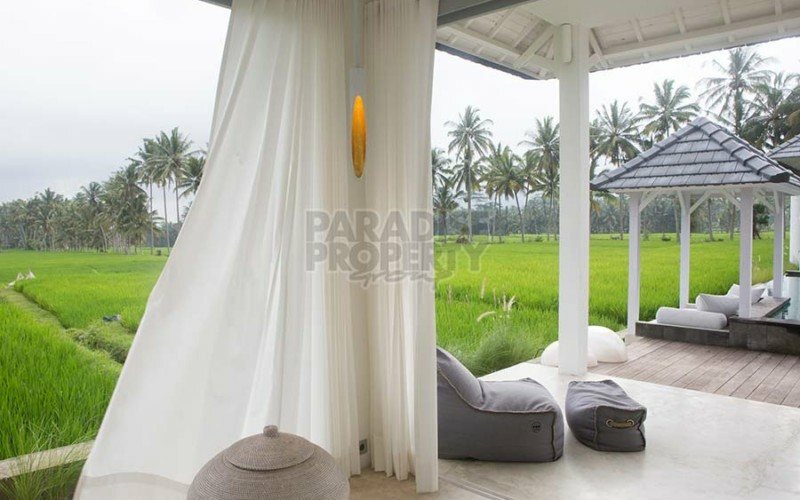 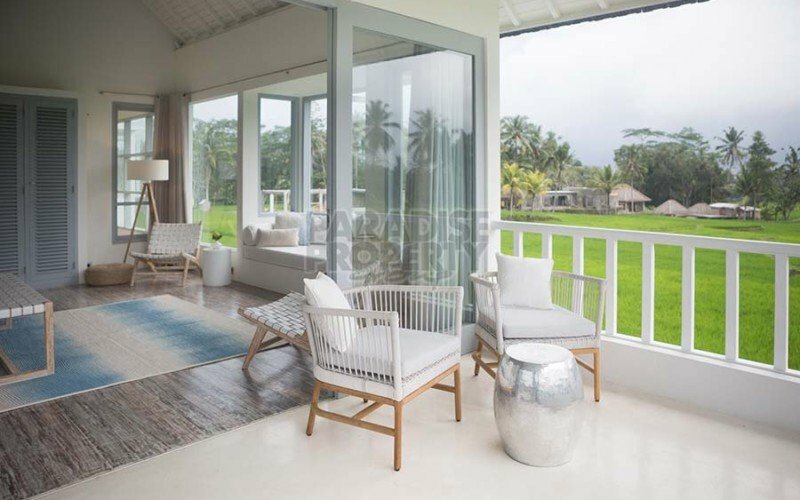 The views to rice fields and coconut trees are in charming contrast to the elegance of the villa. 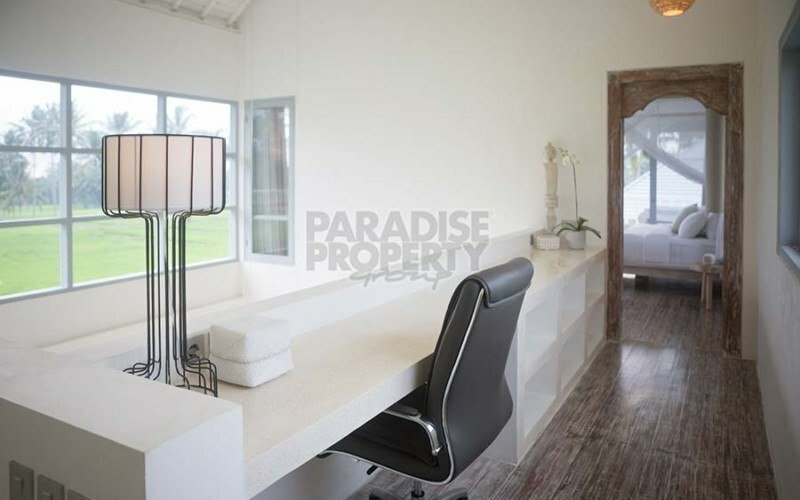 Downstairs, the main building comprises of a spacious living and dining area with a well equipped kitchen, opening up with glass doors to terraces and the natural surrounding, an office and a storage room. Stepping out to the pool deck, an 8 x 4 meter swimming pool with a Bale is inviting to relax and enjoy all the surrounding views. 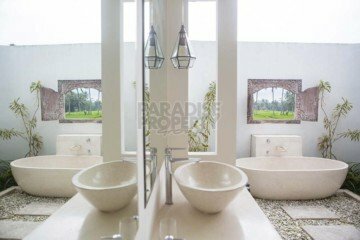 On the other side of the pool, a beautiful bedroom and bathroom is located. 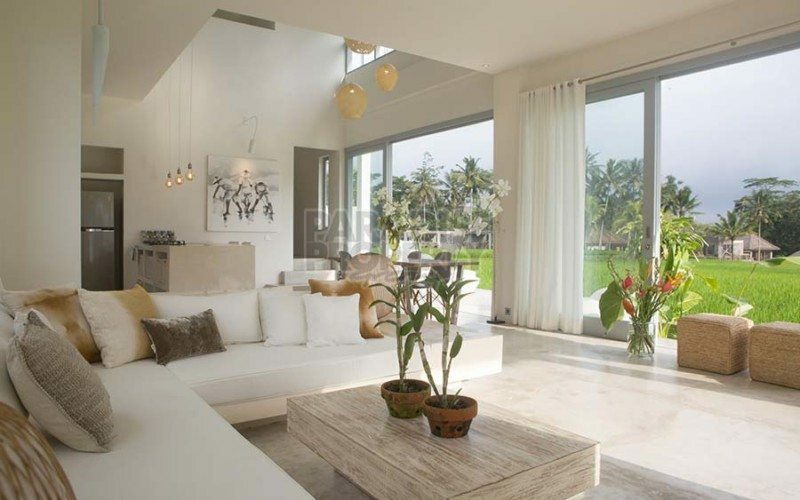 Little terraces with comfortable lounge furniture and window niches provide cozy retreat areas. 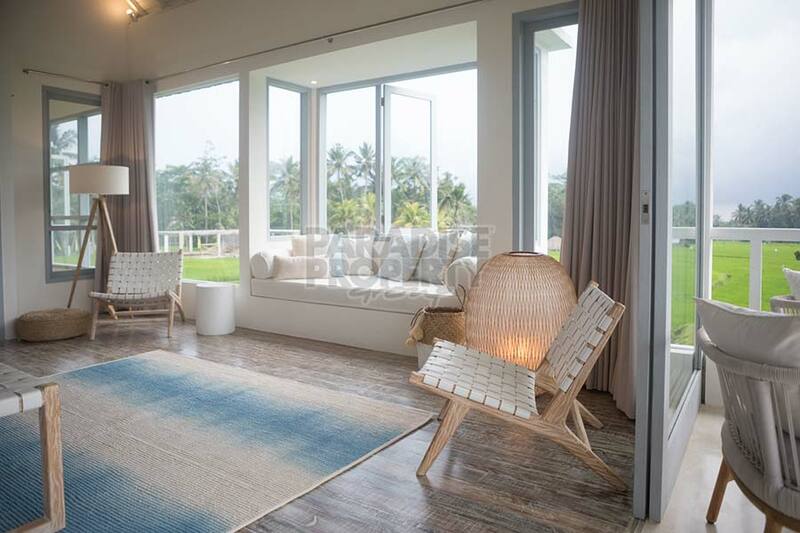 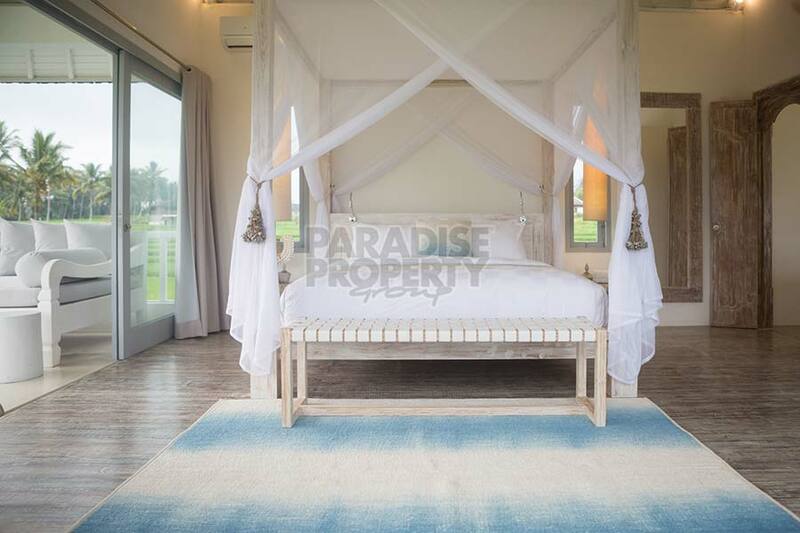 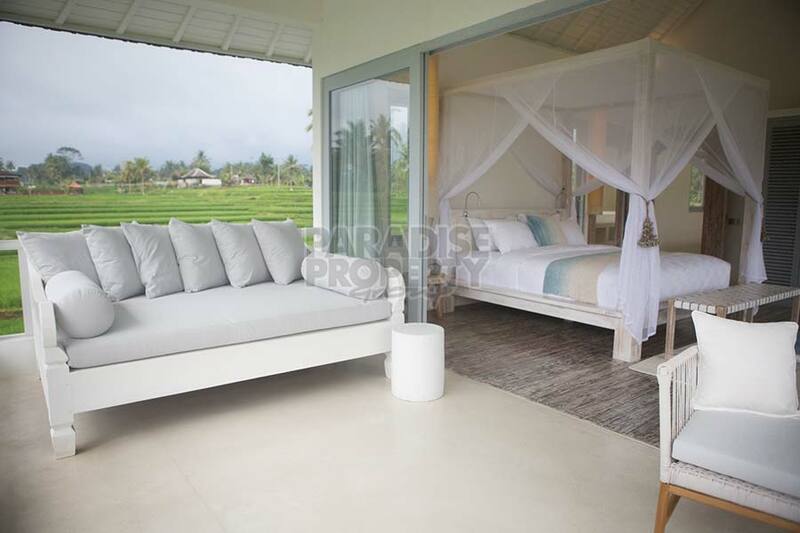 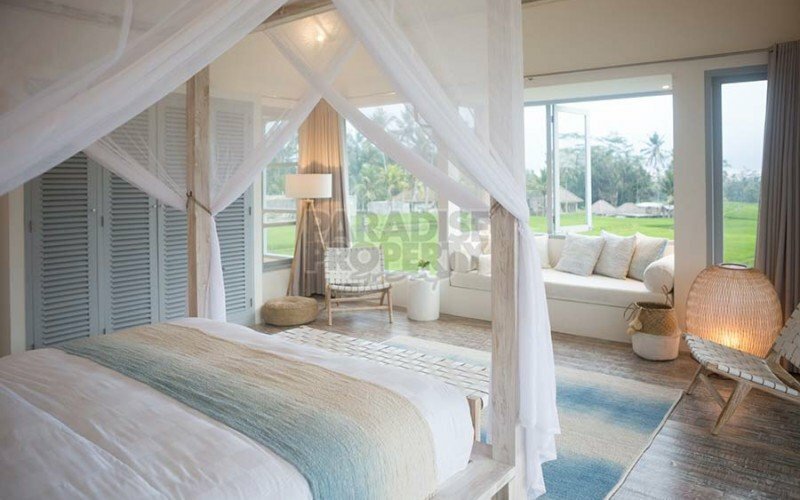 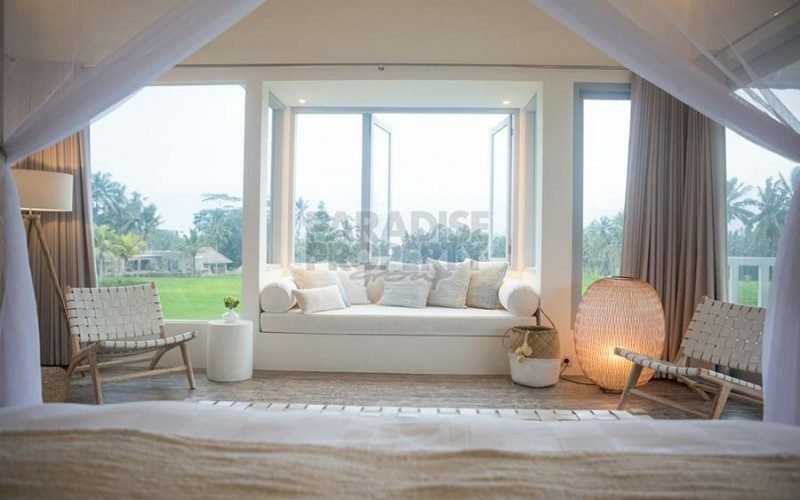 The spacious master bedroom is on the first floor opening up to a nice balcony from where you can enjoy views over rice fields and coconut groves. The corridor is also used as an office space and leads to the gorgeous bathroom. Plenty of built-in wardrobes and cupboards are available throughout the villa. Modern chic furniture with a mostly white, blue and cream design scheme with designer lighting and accessories create a stunning ambiance. 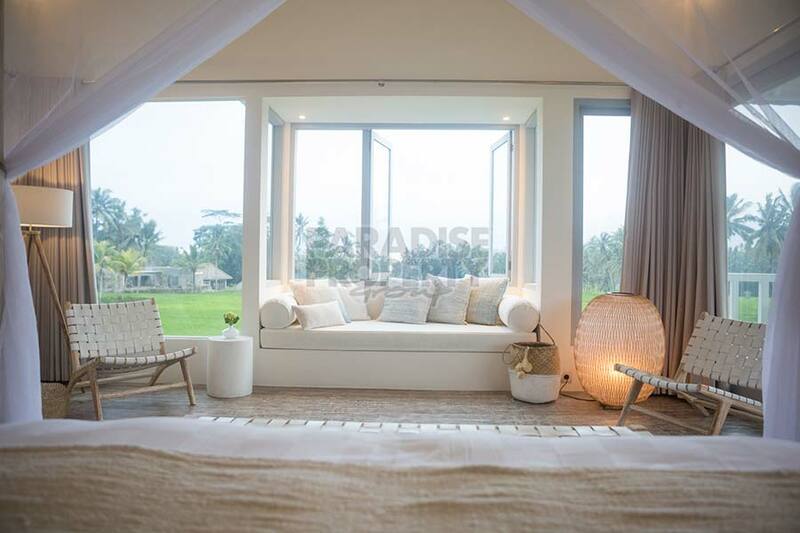 Let the photos speak for itself. 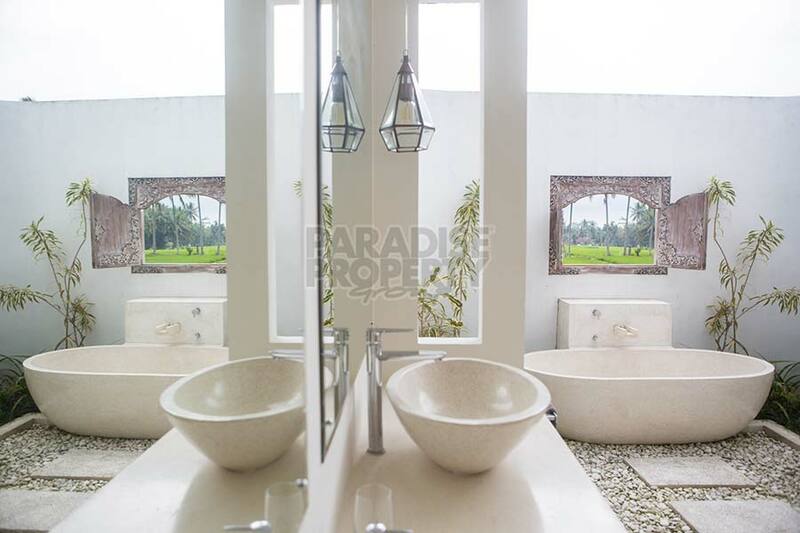 Floors downstairs are cream colored terrazzo, upstairs the master bedroom has a beautiful teak wood floor, whilst the terrace and bathroom floors are made of terrazzo. 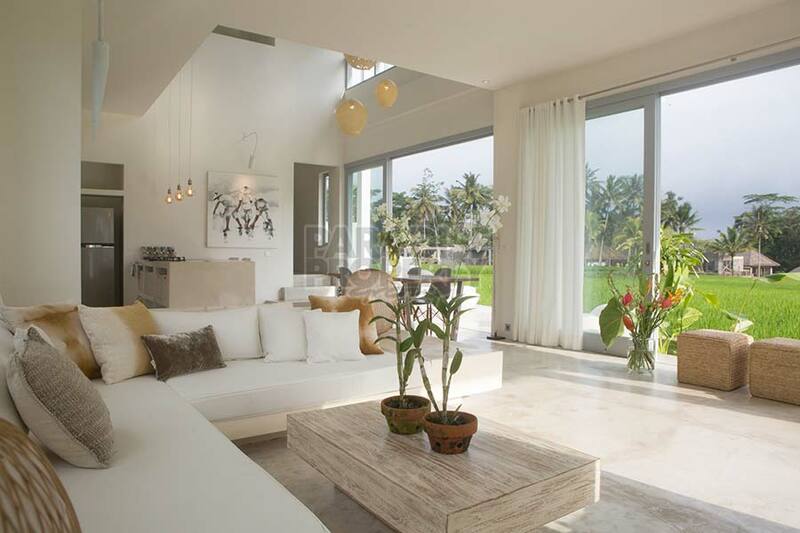 There is AC and ceiling fans in all rooms. Parking for several cars and motorbikes available. 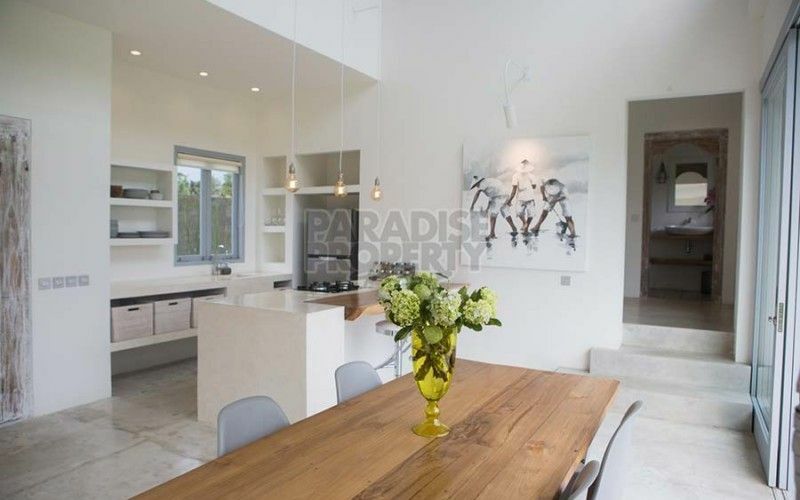 This property is offered with a lease period until 2047 and a 25 year extension guarantee. 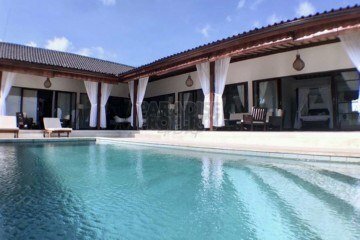 Another villa with 3 bedrooms next to this one will be finished in a few months and is offered unfurnished for a price of USD 260,000. 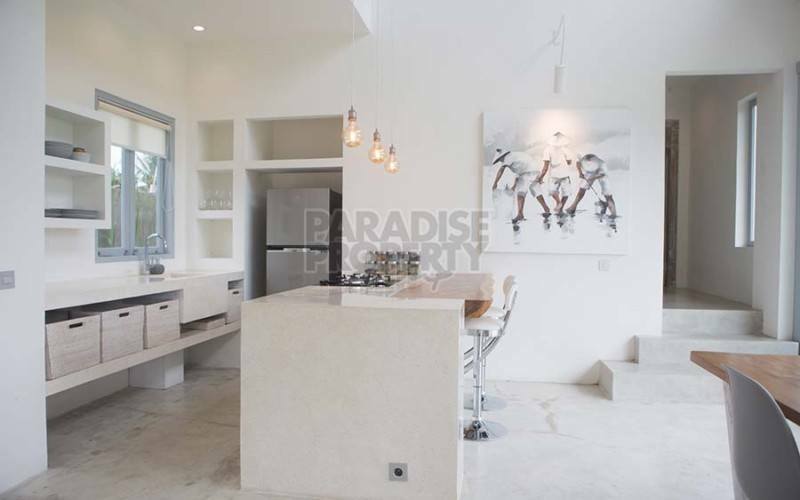 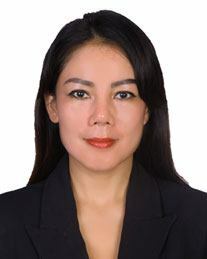 Lease period as well until 2047 and a 25 year extension guarantee.